How the sun affects the condition of your car. When you buy a new car, the interior and exterior are just as they should be. For drivers and motor vehicle enthusiasts, there’s nothing better than getting behind the wheel of a perfectly clean and well-maintained car. One of the biggest enemies of any car is the sun. Like various other natural elements, the sun is unavoidable. Unless you plan on keeping your car locked away in an underground garage forever or only driving at night, it will undoubtedly need to face those harsh UV rays. For most of us, our cars take us to and from work so daily sun exposure is a given. The sun affects various parts of your vehicle. The exterior will always take most of the punishment, but there are some ways of minimizing the damage. Firstly, whenever possible, do everything in your power to park in the shade. Not only will the interior of your car remain cooler, but you will also be doing the paintwork on your car a huge favor! Paint fades due to UV exposure but, like our skin, there are ways of protecting your paintwork. Regular polishing and waxing by a trained professional and with quality products will do the trick. Doing the job yourself might seem like a good idea at first, but there is no comparing the results you can achieve to those of a pro. As for the interior, there are also some major concerns regarding plastic and leather trim. The first tip to remember is to always use a sun visor. 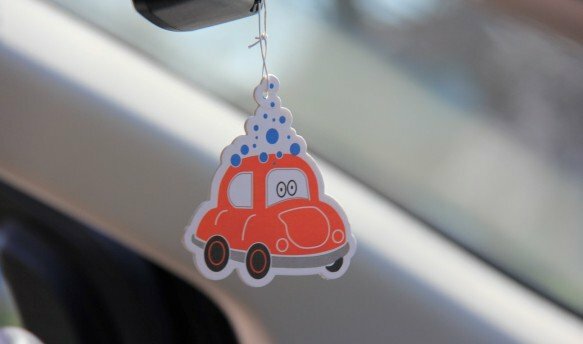 This will help prevent the sun from shining on your steering wheel, dashboard, and other parts of your vehicle’s interior. That said, if you park for an extended period of time or if you park at a certain angle, the sun can still shine through the side windows and back window. 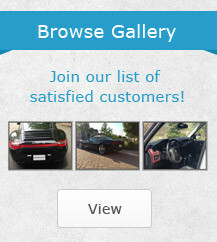 This is where various interior car treatments come in. Treatments need to be applied to your vehicle’s dashboard, front console, door panels, door consoles, and any other leather or plastic trim. Plastic tends to fade and become brittle after regular sun exposure. Leather dries out and also fades. Both plastic and leather crack if they are not properly cared for. Proper care involves regular cleaning and application of the correct treatments. While there are some cheaper products on the market, it’s always important to invest in products that not only coat the surface but also penetrate the leather or plastic in order to condition it. Remember that proper treatments and conditioning of your vehicle is particularly important prior to extreme conditions. In other words, just before summer and before the icy grip of winter. 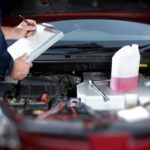 The better you care for your car over the years, the more value it will retain and the easier it will be to sell when the time comes. 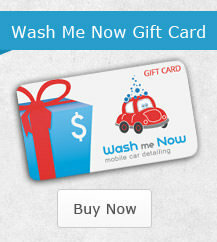 For professional car detailing – inside and out with nothing but the best products, call Wash Me Now at (647) 607-5199. 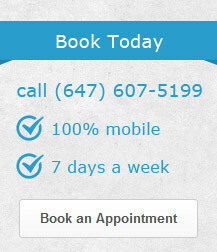 Our experienced team is fully mobile which means that we will get your car back into top shape wherever you are in the GTA!